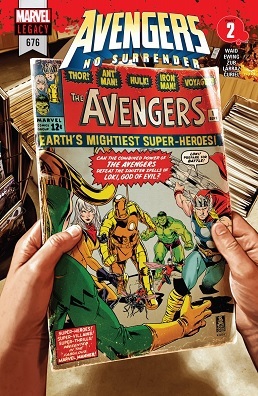 scans_daily | Avengers #676 - "No Surrender, Part 2"
Avengers #676 - "No Surrender, Part 2"
One dollar American says that Voyager is not another Sentry/Jessica Jones, and that memories of her are implanted. 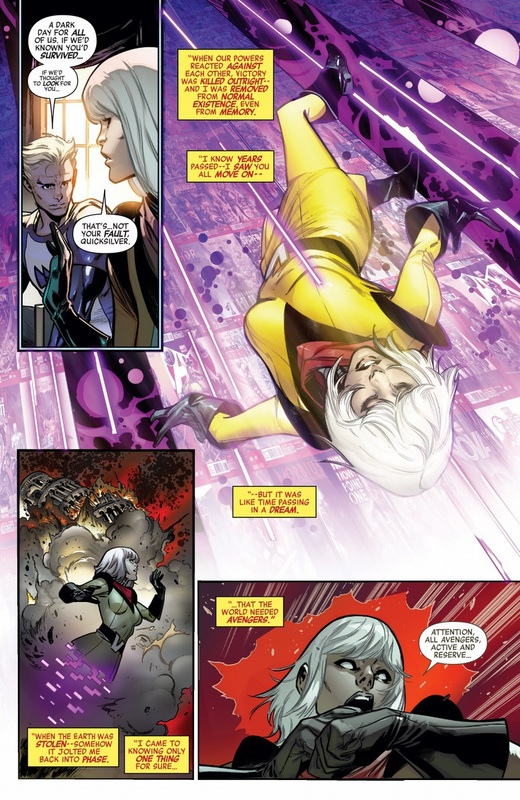 That she perceived the Marvel universe as comic books is an interesting clue. Perhaps she's a literal Mary Sue? 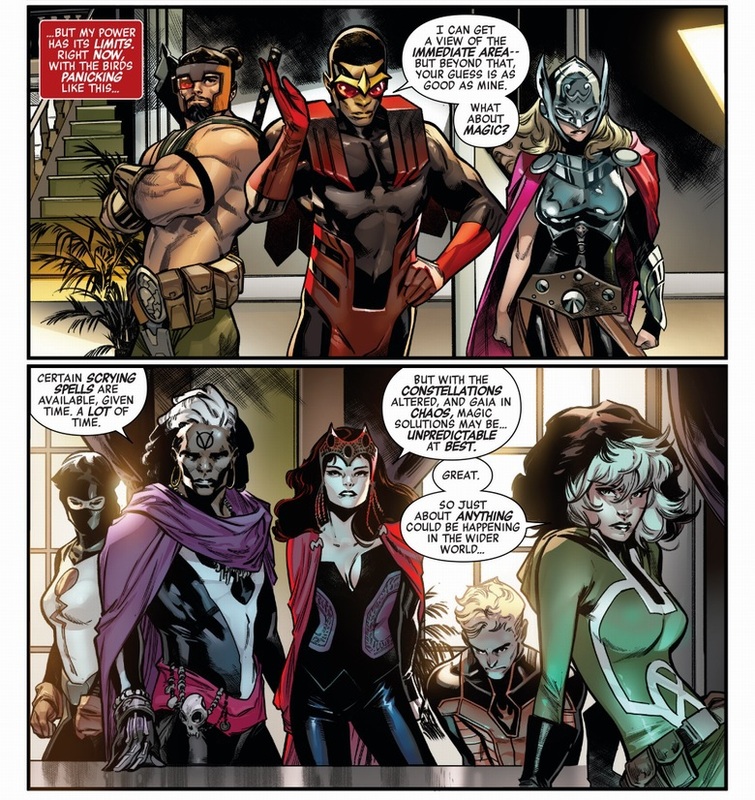 Don't we already have that with Gwenpool? Actually, that might be an actual angle. Voyager: There you are! I've been looking all over for you young lady. Its time to come home. Voyager: No buts young lady, I had to literally retcon myself into the narrative here so I could look for you without drawing attention, now we are going home right now. Was my first guess as well, though IMO that makes her something like a less fun Gwenpool. Preeeeettty sure we can guess who was being written by Ewing there. 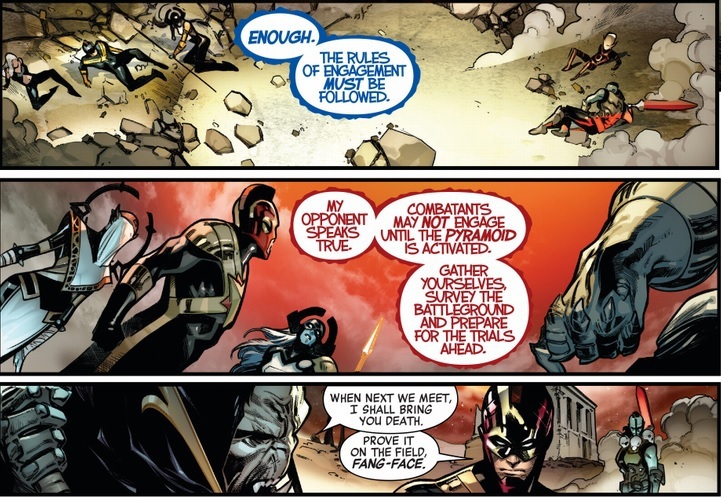 Also interesting how none of the founding Avengers are around to back up these claims about Voyager. And not at all suspicious. I was going to say What about Jan? But she got frozen, didn't she. I wonder if anyone has figured out a rhyme or reason for who got turned blue yet. Wait, writer's notes? Nuts, I don't think those were in the digital version. Please tell me more. 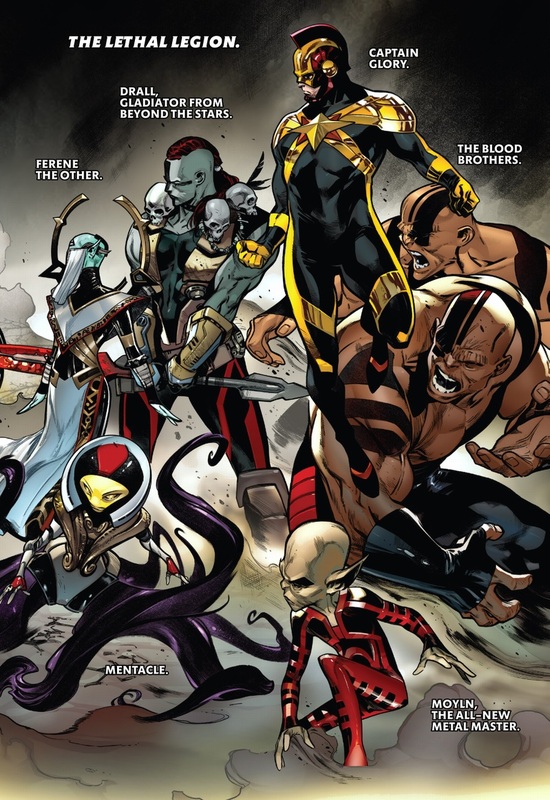 Just some backmatter on the new Lethal Legion, and the Black Order. 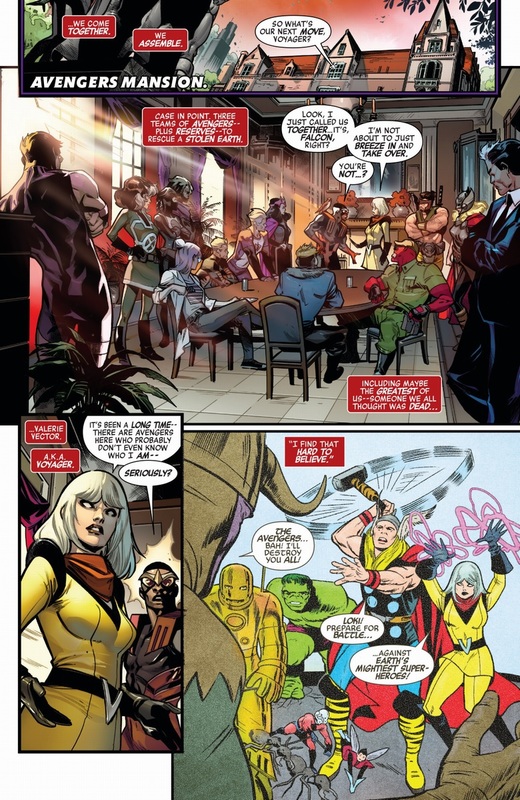 Mostly "this is a new character created by Al Ewing." 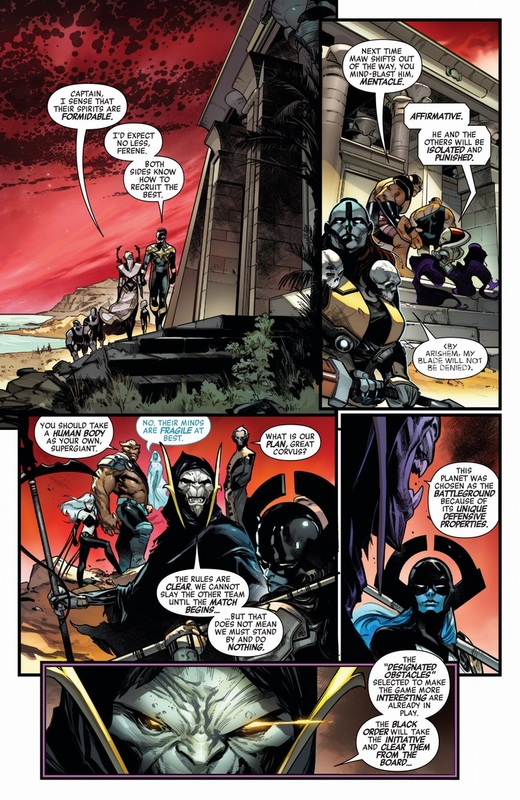 Gotta love that Victory the Electromagnetic Man is literally just Triumph with a new mask (https://vignette.wikia.nocookie.net/marvel_dc/images/3/31/Triumph_02.jpg/revision/latest?cb=20120918143116). 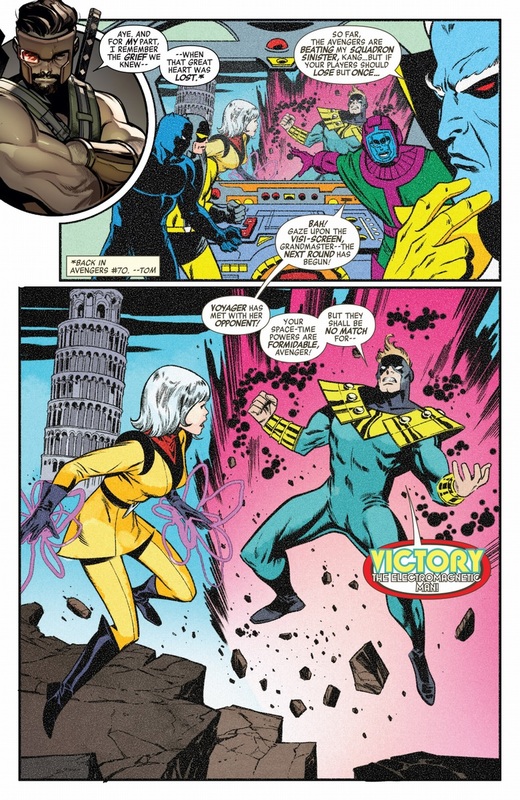 Meanwhile, despite what Voyager claimed, Victory is showing up on the Squadron Supreme Earth with the exact same story. 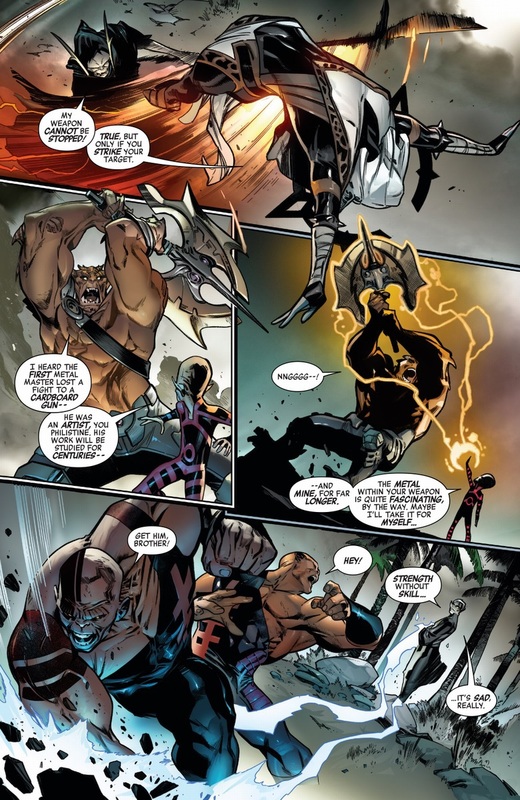 Kratos, what are you doing in the Marvel universe? Jobbing for some flash in the pan villains. You?